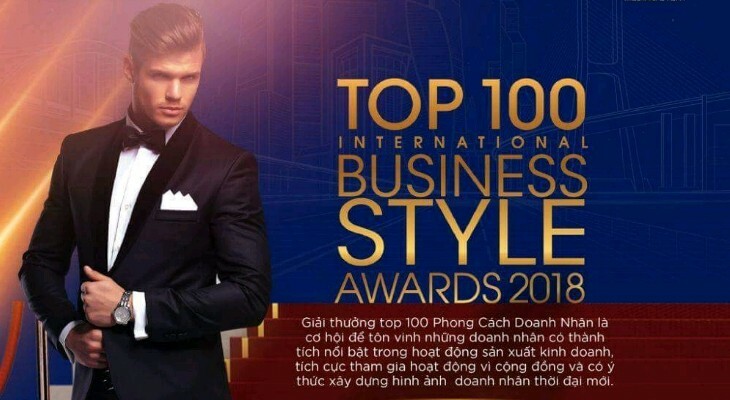 Marking the 10th anniversary of connecting trade and creating the mighty entrepreneurial community,Top 100 International Business Style Awards 2018 will be held solemnly at 16h30, January 25th, 2018 at Capella Gallery Hall, 24 3/2 Street, Ward 12, District 10, Ho Chi Minh City, with the participation of more than 300 invited economic experts, successful business from around the world. The program is exclusively carried out by Nam Huong Media & Event under the direction of Vietnam Chamber of Commerce and Industry (VCCI). Over the past 10 years since establishment, the Top 100 International Business Style Awards has been recognized as one of the most prestigious awards of the domestic and international business community. 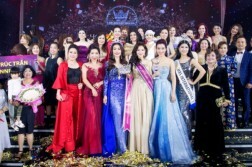 With the mission of bringing good values through the building of a strong entrepreneurial community, the Top 100 International Business Style Awards every year has always left many good impressions in the eyes of the leaders, business who live and work in Vietnam as well as other countries in the world have participated in the program. Not only is it a place to honor individuals with outstanding business results, to contribute to the community and the society as well as to inspire young business to grow and mature, every year, the award is an opportunity for domestic and international businessmen to open more opportunities to connect with trade as well as share new business trends in the market. 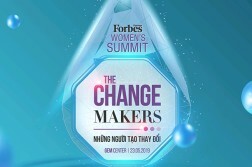 Over the past decade, many class events have been successfully organized, including the “Business Forum,” “Do not Stop Walking,” “Mark of Respect,” “Leader Talk.” “Business for future generations”, ” Mergers & Acquisitions – M & A deals”, “Balance of Life”, “Business Style Golf Tournament”, etc. .
Leader Talk “Digital Technology and Sharing Economy”. Representative of Digital Technology – Dr. Nguyen Thien Bao – CEO of HBB Solutions; Entrepreneur Imad Agi – President and CEO of ECOLOO from Sweden; Prof. Frederick – Founding Chairman of ARFF from Singapore; Entrepreneur Wayne Wood – CEO of Eastin Grand Hotel Saigon represented the Australian business community, Founder and General Director of Office International and Unionspace – Entrepreneur Albert Goh and the talk show is coordinated by Dr. Doan Duy Khuong – Vice President of Vietnam Chamber of Commerce and Industry, Editor-in-Chief of VBF Magazine. 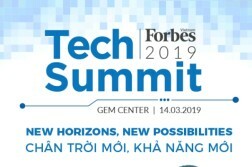 In addition, the talk show also brings the exciting participation to create the connection for new business ideas, share the advantages as well as offer solutions to the difficulties of this problem through various ideas of more than 300 Vietnamese and international businessmen (India, South Korea, Japan, Singapore, Malaysia, the US, Philippines, Indonesia, Thailand, Palestine, France, Belgium, Netherlands, Australia …) . The sharing economy has been around for a long time but now there are breakthroughs and despite slowing global economic growth, experts believe the sharing economy will grow strongly because it is gradually becoming familiar in modern society. The sharing economic model is the phenomenon of “doing the rain” in the world business environment, and Vietnam is not out of this trend. Some figures illustrate the sharing economy through surveys in China, according to ECNS, the size of the economic market in 2015 has exceeded 1,000 billion Yuan ( over $ 152.8 billion). In the United States, the total value of companies participating in the sharing economy has reached over $ 463.9 billion, accounting for more than 3% of US GDP. Swiss bank Credit Suisse expects total transaction value of participating customers who share in 2025 to reach $ 335 billion … Experts also said that the type of sharing economy is no longer a niche market or a temporary phenomenon, but the near future is the global business environment.. In addition, the development of digital technology has benefited not only the economies and businesses, but also the positive impact on individual life, helping us to better utilize the Achieve information technology to maximize the benefits of available resources, by sharing, leveraging the resources of each other. Therefore, the “Sharing Economy” in technology era 4.0 will help consumers to share, make the most of the resources of each other such as houses, vehicles,supplies.., instead of the new investment costs for the purchase,ownership of the property. Much of the sharing economic model, websites / apps / mobile apps act as bridges the information,confirming the identity of buyers and sellers. Along with that, the change of methods of information search and purchase of goods by users through e-commerce and social networking poses no small challenge for Vietnamese business. How are foreign businesses “overcome this storm” and where is the solution for Vietnamese business to develop a sharing economic model for their products and services in the digital age? This economic model will create advantages as well as challenges for the domestic market in particular and global countries in general? All will be discussed and shared details in the Leader Talk forum – an activity associated with the ceremony of celebrating the Top 100 International Business Style Awards 2018.